Click here to see the latest version of this article, based on the QS University Rankings: Arab Region 2019. A relatively new edition to the QS Regional Rankings, the QS University Rankings: Arab Region features 100 of the top universities in the Arab world, based on a methodology which aims to reflect the priorities and challenges affecting this region. 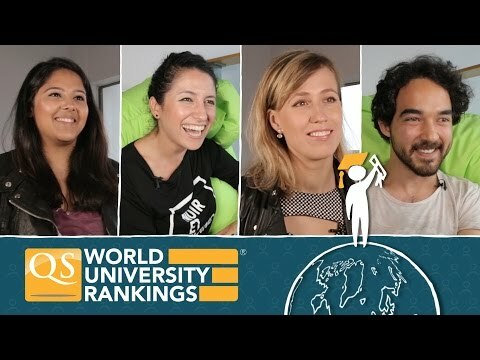 Read on for an overview of the top 10 universities in this year’s QS University Rankings: Arab Region, including information on how each institution performs in the overall QS World University Rankings® 2015/16 and its strengths in different disciplines, based on the latest QS World University Rankings by Subject. Ranked 1st in the Arab region for the second time in a row, the King Fahd University of Petroleum and Minerals (KFUPM) is currently 199th in the overall QS World University Rankings. Established in 1963, it is well regarded for its science and engineering programs, and is located in the city of Dhahran, a major administrative center for the Saudi oil industry. 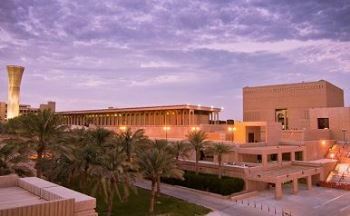 More than 8,000 students are enrolled at KFUPM, which is the most selective of the universities in Saudi Arabia. King Fahd University is ranked among the best in the world for nine subjects in the QS World University Ranking by Subject 2016, including, perhaps unsurprisingly, a top 50 position for minerals and mining engineering. It’s also in the global top 150 for chemical and mechanical engineering. As is the case for some universities in Saudi Arabia, King Fahd accepts only male students. American University of Beirut also retains its position this year as 2nd in the Arab region and 1st among Lebanese universities. 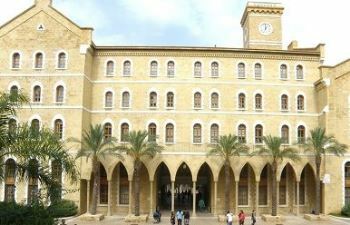 Ranked 268th in the overall world rankings, AUB is a private secular institution which conducts its teaching in English and has collaborated with many overseas universities, including the US’s Johns Hopkins University School of Medicine. Founded back in 1866 and therefore celebrating its 150th anniversary this year, AUB now has around 8,400 students, including 1,700 international students. AUB offers more than 130 programs across seven faculties, and features in the QS World University Rankings by Subject for medicine (top 300 in the world) and computer science (top 500 globally). Ranked 237th in the overall world rankings for 2015/16, King Saud University (KSU) was established in 1957 in the Saudi capital, Riyadh (and was originally known as Riyadh University). It is the oldest among universities in Saudi Arabia, founded to meet the educational and professional needs of the country. 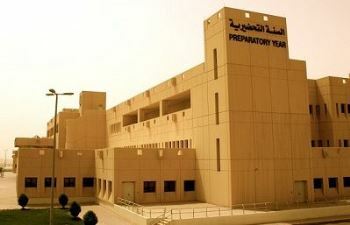 King Saud University offers programs in both English and Arabic and, unlike KFUPM, accepts female students. 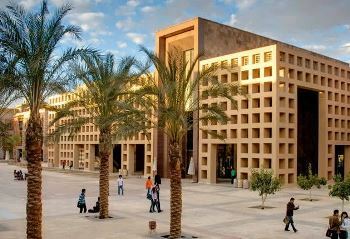 King Saud is a large university with around 65,000 students, and the university offers a fairly broad range of programs. It ranks among the world’s best for 11 subjects, including a top 150 position for pharmacy and pharmacology, and top 200 positions for computer science, mechanical engineering, chemical engineering, agriculture and forestry, and education and training. 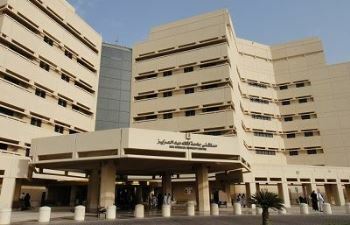 Another of the universities in Saudi Arabia to claim a top five position in the Arab ranking, King Abdulaziz University (KAU) ranks joint 303rd in the main rankings, up from 334th last year. Located in Saudi Arabia’s second-largest city, Jeddah, KAU was designed by the renowned English architect John Elliott and named after the founder of Saudi Arabia. Around 82,000 students are enrolled, with separate campuses for men and women. King Abdulaziz University is this year ranked among the world’s top 400 for five subjects – mathematics, mechanical engineering, computer science and information systems, medicine and chemistry. The university offers a range of both undergraduate and graduate programs in specialized fields such as seas sciences and meteorology, as well as distance learning programs. The American University in Cairo retains its position as 5th in the Arab region this year and is currently joint 345th in the overall world rankings, making it Egypt’s highest-ranked institution in both cases. Founded in 1919, it conducts teaching in English and has a community of students from 60 different countries, with 5,561 undergraduates and 1,178 postgraduate students in 2016. The American University in Cairo uses a liberal arts approach to education and boasts the largest English-language library collection in Egypt. 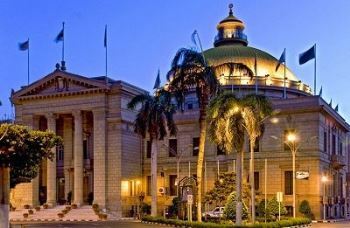 Located downtown in capital city Cairo on a 7.8 acre campus, the university achieves a position in the world’s top 100 for development studies, as well as the top 200 for modern languages. United Arab Emirates University also stays stable this year in the Arab ranking, and is currently ranked 421-430 in the QS World University Rankings. United Arab Emirates University is the oldest university in the UAE, although still quite young, having been founded in 1976. The United Arab Emirates’ flagship university, it has more than 14,000 students enrolled, 80% of which are female, and is based in the city of Al Ain. United Arab Emirates University claims the largest number of electronic resources in the Arab world, with 170,000 e-books. Although not currently featured in the QS World University Rankings by Subject, the university boasts an impressive alumni community, including some of the country’s most prominent ministers, diplomats and business leaders. The highest ranked in the UAE representative in the last edition of the QS World University Rankings at 411-420, American University of Sharjah is less than 20 years old, having been established as recently as 1997. 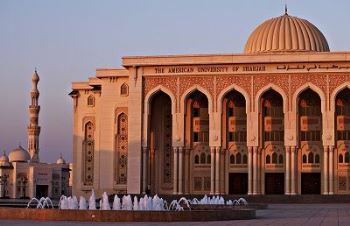 An independent and not-for-profit university, American University of Sharjah follows the US model of higher education. It also conducts all instruction and administration in English. A total of 6,178 students were enrolled as of autumn 2015, from a wide range of countries both in the Arab region and beyond – and this diversity is one reason the city of Sharjah is featured in the QS Best Student Cities 2016. American University of Sharjah does not feature in the subject rankings, but is nonetheless held in high regard for its English language and literature programs. Ranked 601-650 in the QS World University Rankings and 8th in the Arab region, the University of Jordan is Jordan’s largest and oldest university, having been established in 1962. The university has achieved an overall three-star rating in the QS Stars University Ratings, including five-star ratings for employability and inclusiveness. 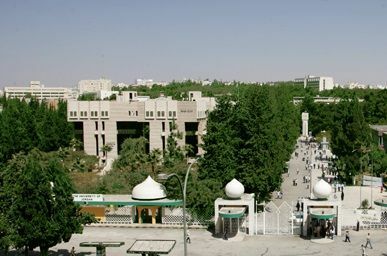 Around 38,000 students are currently enrolled at the university’s main campus in capital city Amman, in which several other universities are based. The University of Jordan has a global outlook on education, with a wide range of programs – more than 3,500 across 18 faculties. The university also takes part in hundreds of bilateral student exchange programs with universities abroad, including 16 institutions in the United States. Climbing two places this year to feature in this year’s Arab region top 10, Qatar University also made an impressive leap in the overall world rankings in 2015/16, rising from 551-600 to 481-490. Qatar University offers courses in both Arabic and English and currently teaches over 14,000 students, of which around 35% come from Qatar’s large expatriate population. 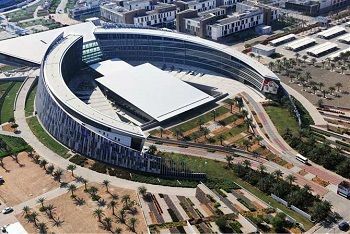 It was founded in 1973 in the northern outskirts of capital city of Doha, which is also home to the satellite campuses of several US universities. 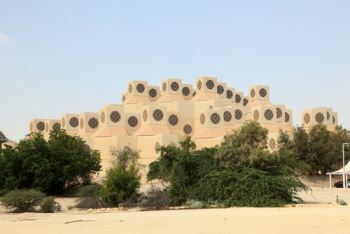 Qatar University’s facilities include research laboratories, technical equipment, a large library which houses a collection of rare manuscripts, and even an ocean vessel. Down one place from last year, Cairo University is ranked 10th in the Arab region and 501-550 in the world in 2015/16, up from 551-600 the previous year. 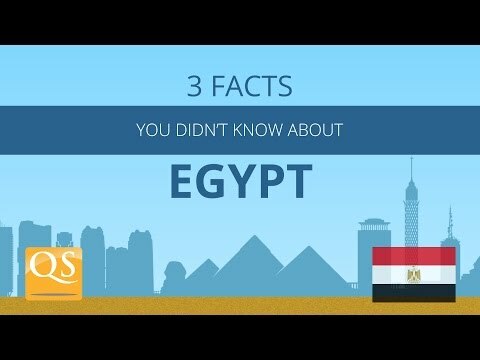 Cairo University is one of Egypt’s oldest universities, having been established in 1908, when it was known as the Egyptian University. Despite its current name, Cairo University’s main campus is actually in Giza – around 20km southwest of Cairo. It is a large university, with more than 155,000 students enrolled in 22 faculties. It currently features among the global top 400 in eight subjects, including the top 150 for pharmacy and pharmacology, as well as positions for medicine, modern languages, mechanical engineering, computer science, biological sciences, chemistry and mathematics.